Traditionally, alimony has been tax deductible for the paying spouse and taxable for the recipient spouse. UBecause of this tax deduction, the obligor spouse was able to pay more in spousal support because it was tax deduction. However, as of January 1, 2019,this tax deduction is no longer. Now, alimony is not taxable or tax deductible, which means payors will not be able to deduct any alimony paid to a spouse. 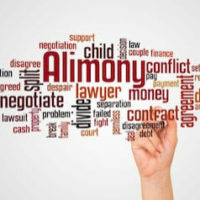 have The new laws may also mean that higher earning spouses may have more difficulty settling cases involving alimony. For divorce agreements made after the new rule went into effect, paying spouses may be able to make payments through their retirement accounts. If you have a retirement account, and if you anticipate having to pay alimony after your divorce, it may be worth your while to discuss this payment method with an an attorney. The new alimony tax law is bound to create a financial headache for both the higher earning and lesser earning spouses. Experts also anticipate that it will result in drawn-out alimony discussions during the divorce process. That said, you can make the process easier on yourself by working with an experienced Boca Raton alimony attorney. At WiseLieberman, PLLC, we can help you explore your options for reducing your financial burden both during and after divorce and move on with your life with as little hassle as possible. To get started with the process today, contact our law firm by phone or online.